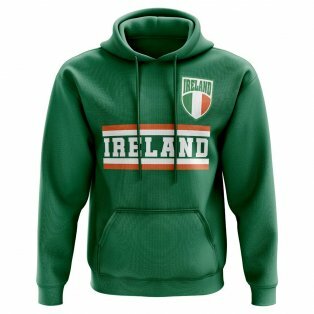 Support the boys in green with the new Ireland football shirts which are available to buy in our Irish FA online store. 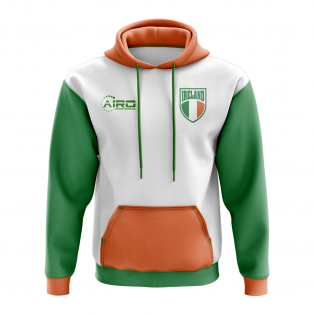 We sell only authentic Ireland football kits and have mens, womens and junior sizes in stock. 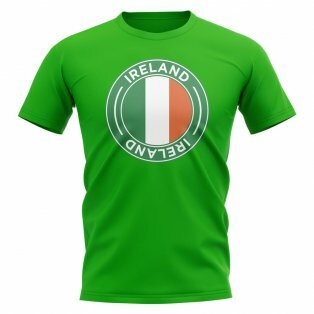 Customise your Ireland soccer jersey with shirt printing for past and present stars including Robbie Keane, Niall Quinn and Ray Houghton or choose your own personal name and number. 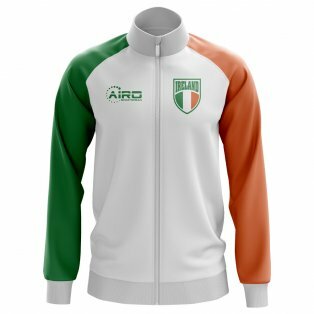 With worldwide delivery and next day UK service, we have all the Ireland kits, training clothing and football merchandise that you will ever need! 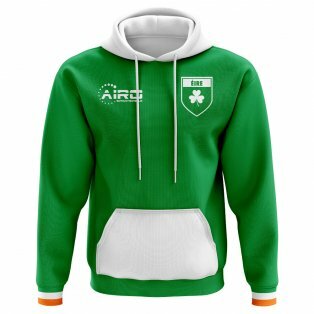 The Irish football jersey is worn with pride throughout the world as those with Irish heritage show off their colours with pride. 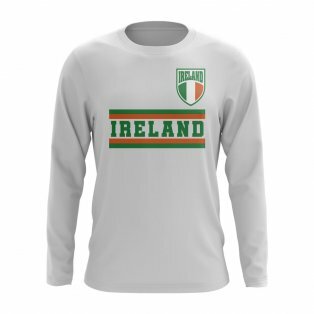 Between the years 1892 and 1920, Ireland, the island, was represented by one national football team. 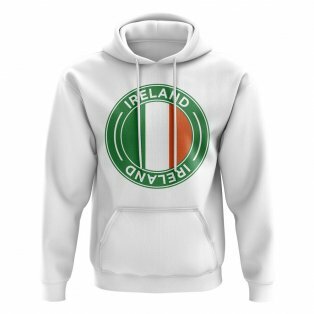 Due to political upheaval in 1920, Ireland was divided in to Northern Ireland and the Irish Free State. 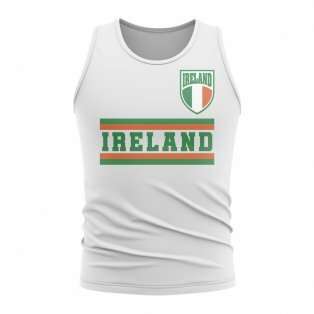 By 1923, the Irish Free State was recognised by FIFA and they were allowed to compete in their first competitive competition, the 1924 Olympics staged in Paris. They made an impressive start to competitive football reaching the Quarter finals. 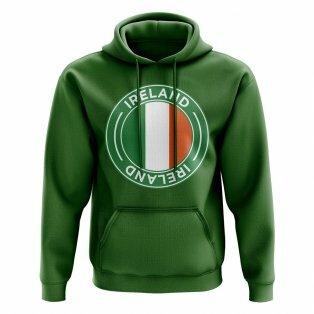 1936 saw the birth of the FAI (Football Association of Ireland) as we know it today and with that, the country would no longer be the Irish Free State but instead referred to as Eire or Ireland. 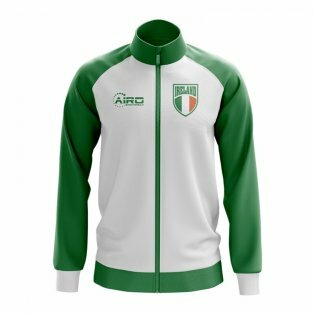 17 years after, FIFA would allow both Irish teams to enter competition with Ireland now being known as the 'Republic of Ireland'. The Republic would endure tough times on the pitch for many years. The most significant thing to happen was in 1965 when Shay Brennan became the first player to represent Ireland having not been born there. He had an Irish parent which allowed him to represent the national side. In 1986 Jack Charlton, a World Cup Winner with England, would take charge of the Irish national side and the countries fortunes on the pitch would soon change. 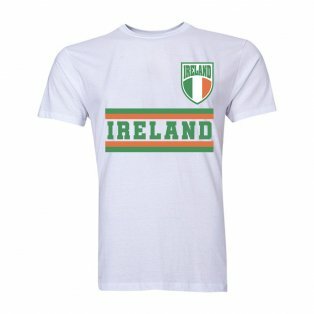 Ireland would qualify for Euro 88 after Scotland defeated Bulgaria to leave the Irish top of their qualification group. Ireland came within a whisker of a semi-final spot despite famously beating England in the group stages. 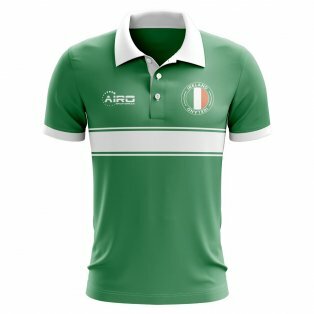 For their first major finals, held in West Germany, Ireland would wear a traditional green shirt designed by Adidas. It was an updated version of the Adidas template which had already proven popular with other national sides. 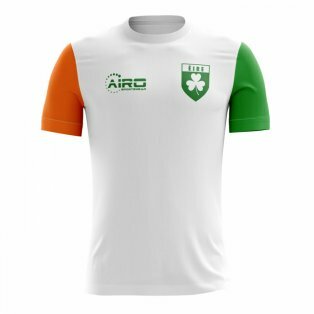 The green shirt had white accented sleeves, the shorts were white and socks green to round off a very popular Ireland kit of recent times. 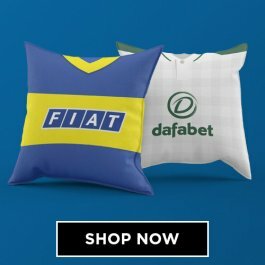 1990 would see Ireland qualifying for another major finals, this time the World Cup held in Italy. 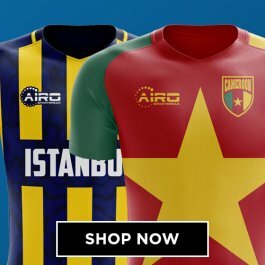 With qualification secured, this would mean a new kit for the national team! 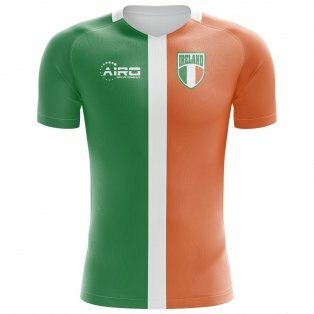 The green shirt with the orange trimmed V-neck collar and subtle chevrons woven in to the shirt would prove very popular with the Irish fans! A fans version of the shirt was available but was different to the one worn by the national side. 'Opel' would appear on the front of the shirt as the sponsor which was a partnership dating back to 1986 with Opel boss Arnold O'Byrne. During the 1990 World Cup qualifying campaign, Ireland would set a record 5 straight victories which would help them secure their place in the finals. Despite not winning a group game, Ireland would make the knockout stages with 3 draws. With the eyes of a nation on the footballing team, they managed to knock out Romania on penalties making it through to the quarter finals where they would be eventually knocked out by hosts Italy. Ireland would miss out on qualifying for Euro 92 but returned to the major stage by qualifying for the 94' World Cup in USA. 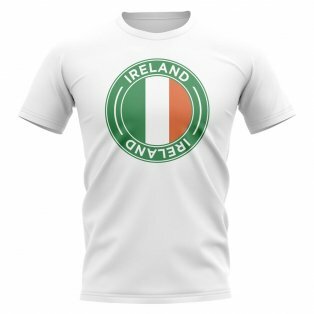 This World Cup would see the debut of the FAI crest on the newly designed Irish home jersey. The shirt was actually based around the new crest with an intricate shadow design on the front of the jersey. Adidas also removed the 3 stripes replacing them for the classic Trefoil design in exchange for the new Adidas branding. 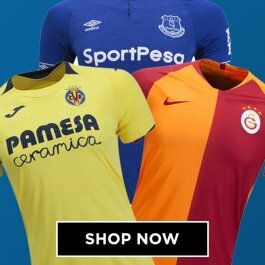 The new shirt would bring some good luck to the national side. They would avenge defeat in their first group game by defeating the Italians 1-0 who knocked them out of the previous World Cup. A draw with Norway and defeat to Mexico would see the Irish through to the knockout stages where they lost 2-0 against the Dutch. Ireland would miss out on qualifying for Euro 96 after a play off defeat against Holland. 2 goals from Patrick Kluivert would be enough to send the Dutch through and end Jack Charlton's famous time in charge of the Irish! Mick McCarthy would take over the national side and would miss out on the next 2 major finals. However, after a 2-1 play off victory over Iran, Ireland would qualify for the 2002 World Cup staged in South Korea. This was a World Cup unfortunately remembered for the bust up between Roy Keane and Mick McCarthy rather than the exceptional performance of the 'Boys in Green'. Having drawn against the German's and pushing Spain all the way to penalties, the Irish certainly didn't disgrace the jersey and what a jersey it was! 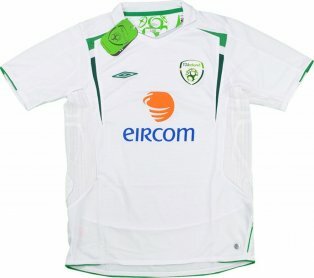 2002 was the year Umbro would debut at a major tournament with Ireland and it would also be the year Ireland would end their association with Opel and sign a deal with 'Eirecom'. The green jersey with white contrasting around the edge made this shirt another popular one with the fans! 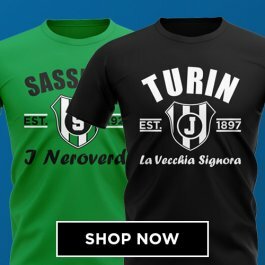 It would be another 10 years before Ireland would make another major final this time qualifying for Euro 2012 under the stewardship of Italian Giovanni Trappatoni. The shirt produced for the tournament would have a new logo and sponsor on it. The shirt itself was a 'two-toned' green with thin gold stripes separating the shades and was accompanied by white shorts and green socks. 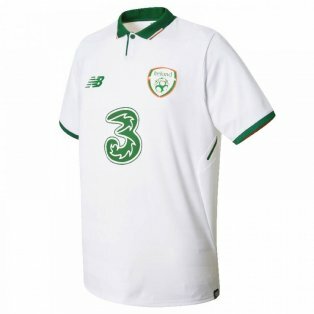 The mobile phone company '3' had acquired the sponsorship rights for the replica jerseys and are still Irelands sponsor in 2016. Unfortunately, this major tournament would be one to forget with Ireland losing all 3 games failing to score a single goal in the process. In November 2013, Trappatoni would be replaced by Martin O'Neill and Roy Keane. O'Neill would lead Ireland to Euro 2016 after an impressive playoff victory over Bosnia and Herzegovina. 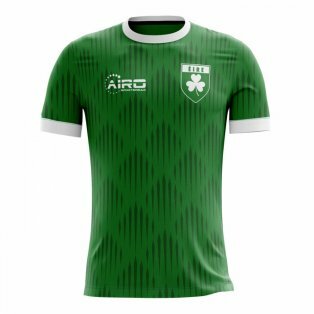 2016 saw Umbro renew their deal with the FAI to continue to supply the team with shirts up until 2020. 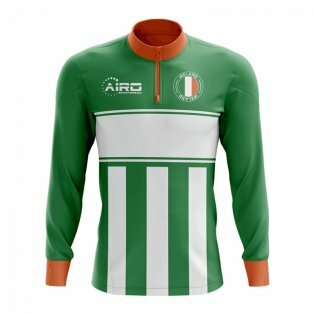 The shirt for the championships would see Ireland remain with the 'two toned' green design but this time with diagonal stripes woven in to the shirt with white stripes down the side. The shirt was finished off with a nice white and orange tipped collar. Ireland were drawn in group E and famously beat Italy in an 'all or nothing' match to qualify for the knockout stages. Despite taking the lead against hosts France, the Irish would eventually lose 2-1. Robbie Keane has just hung up his boots after a glittering international career scoring a record 67 (unless he scores against Oman!) goals for his country. He has been a popular choice for fans over the years and is UK Soccershop's biggest ever seller on the back of the Irish shirt. 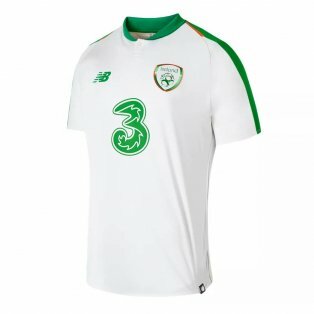 After his famous goals in a 1-0 victory over Germany that secured Ireland's place in the 2016 playoff, Shane Long proved to be a popular name on the back of shirts for the European Championships. 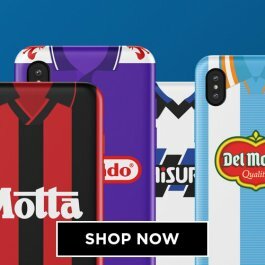 Don't forget you can also have legends names printed such as Damien Duff, Roy Keane, Liam Brady and Shay Given.